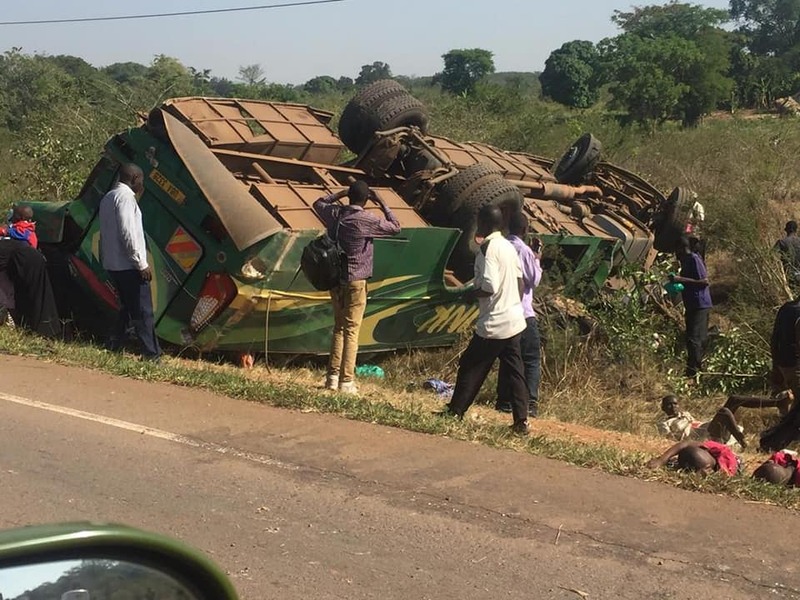 NAKASONGOLA- Several people are feared dead after the bus they were travelling Sunday in overturned at Namayonjo in Nakasongola district. The Link Bus registration number, UBA 332B, that left Kampala at 8’Oclock headed for Masindi, swerved off the road and overturned with over 50 passengers on board. 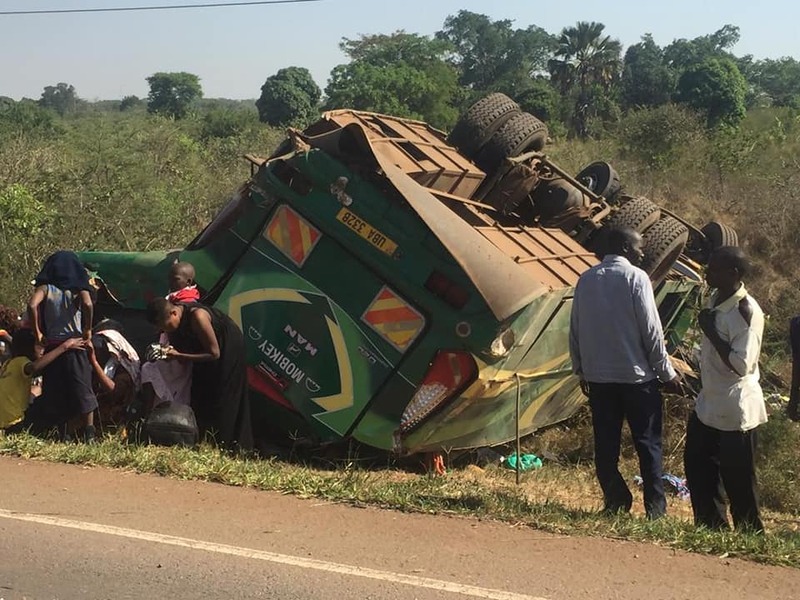 Traffic Police reports confirmed that the bus lost control after the front tyre burst and overturned several times, killing the driver on spot. Namayonjo is listed among the most dangerous black spots along the Kampala – Gulu highway. At the time this report was filed, Traffic police was yet to provide the details of the total number of those who have perished. We will keep you updated as the details come in.